Team Associated has rolled out their latest 1/10-scale, 4-wheel drive competition buggy kit, the RC10B74. With a design that was born on the track, this new kit features multiple enhancements over previous models. Among the highlights of the RC10B74 Team Kit are a 2mm hard-anodized aluminum chassis, updated steering blocks, easy-access differentials, and longer shocks for increased droop and up-travel. 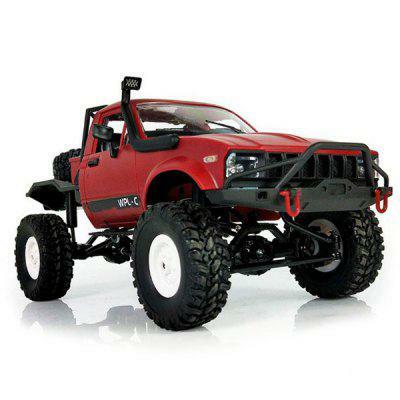 To complete the build, you’ll need to supply a steering servo, ESC, 540-size motor, radio system (transmitter and receiver), and 1/10-scale off-road wheels and tires, and polycarbonate paint. Priced at $519.99, the Team Associated RC10B74 Team Kit will be available online and through your favorite Team Associated dealer. Visit teamassociated.com to learn more about this competition buggy model.